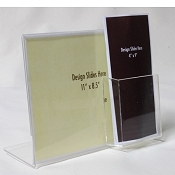 Great Selling 8.5 x 11 WALL MOUNT Brochure Holder w/ 2 x 3.75 business card pocket . Features polished edges for classy look. 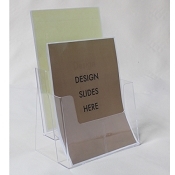 Easily insert your custom graphic (8.5x11 sheet of paper or cardstock) and display standard business cards on bottom corner. 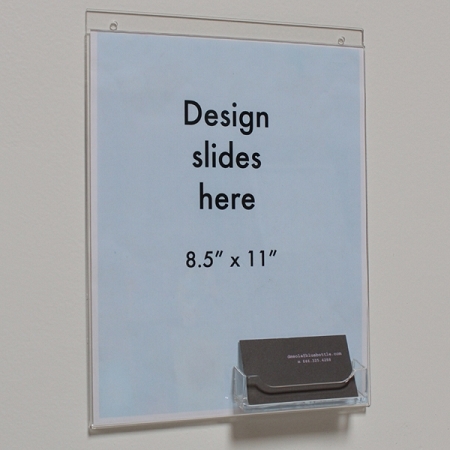 The large display area provides a great advertising source to attract prospects attention. Continues to sell your service and promote your brand even when business cards are gone. Made with .098 thick acrylic plastic and not mold injected plastic.. Acrylic plastic is a higher grade plastic that provides great clarity with no tinted effect that injected mold plastic may produce. For International, AK and HIl orders: Please note, shipping cost may not be accurate when ordering online. For an accurate shipping cost, please email us (info@leadbox.com) item(s ) and quantity you are interested in purchasing. Please include country.